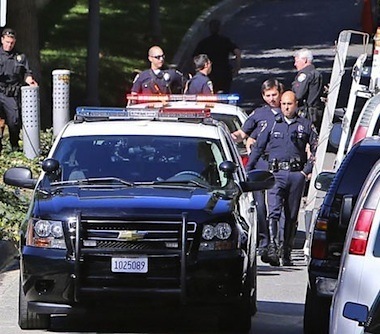 The Los Angeles Police will attempt to curb the number of swatting incidences at the homes of celebrities by no longer releasing statements about them. Justin Timberlake, Tom Cruise, Kris Jenner, Hugh Hefner, and Ryan Seacrest have all fallen prey to the harmless but irritating prank where emergency responders are falsely called to their place of residence. “It’s our belief that the perpetrators of these false police reports are motivated entirely by the publicity these calls receive,” head of LAPD Media Relations Andrew Smith said. The false alarms cost the police thousands of dollars a year, and are not exclusive to rich and famous. Swatters based in Dallas hit more than 60 cities from 2002 to 2006, at a loss of $250,000.